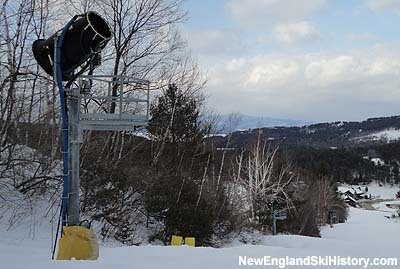 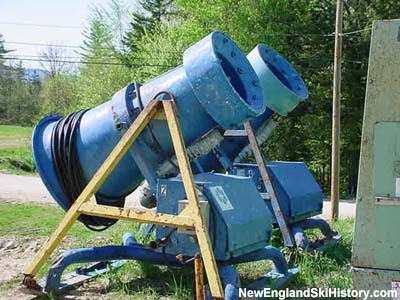 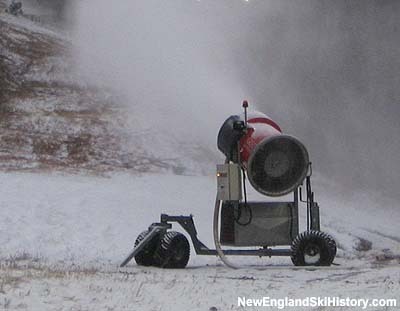 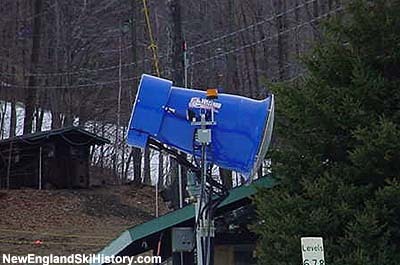 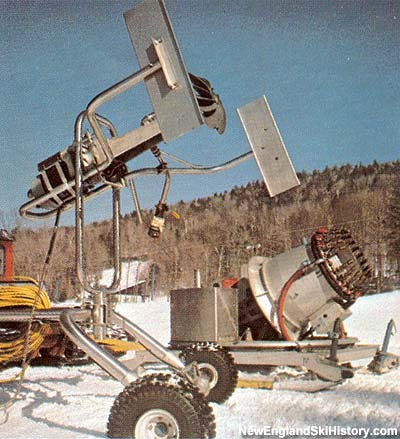 While marketing campaigns may lead some to believe that fan gun snowmaking is a recently developed technology, it has been used in New England for decades. 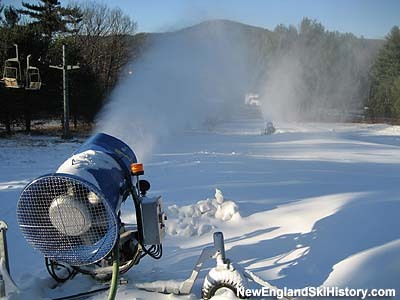 There are essentially two types of snowmaking in widespread use at New England ski areas: air water and fan gun. 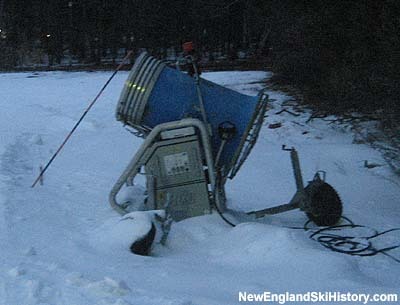 Air water systems generally require two separate sets of pipelines on trails: water and compressed air. 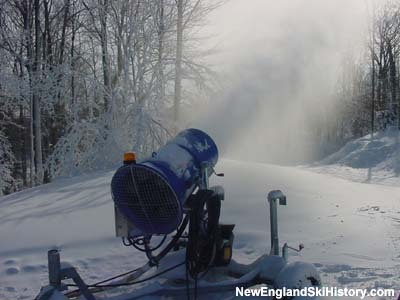 Since the water pumps and air compressors are operated at central locations, electricity does not have to be installed on trails. 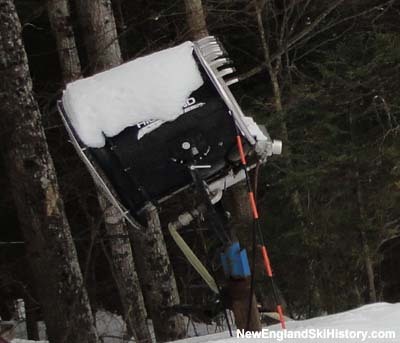 With fan gun technology, electrical service and a water pipeline have to be installed on trails. 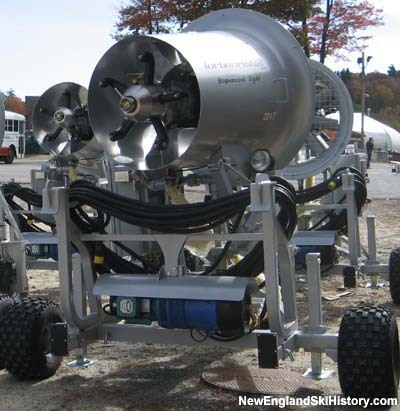 No central air compressor or air pipeline is used. 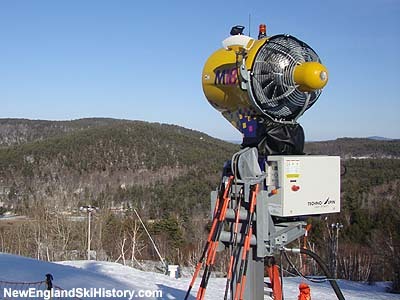 Areas with night skiing tend to be more likely to already use fan gun technology, as electricity is already in place for lighting. 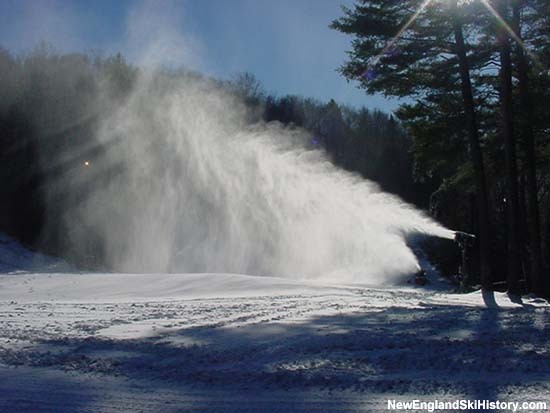 While the purchase price of a fan gun is dramatically higher than an air water gun, many say that fan guns produce more snow, operate better in marginal temperatures, are more cost efficient, and make a nicer skiing surface.